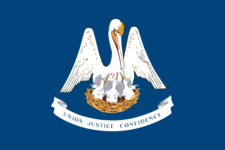 If you are a Louisiana resident who is required to file a federal individual income tax return, you must file a Louisiana income tax return reporting all income earned. 1. You must file a return to obtain a refund or credit if you overpaid your tax through withholding, declaration of estimated tax, credit carried forward, claiming a refundable child care credit or a Louisiana earned income credit. 2. If you are not required to file a federal return but had Louisiana income tax withheld, you must file a return to claim a refund of the amount withheld. 3. Military - If you are military personnel whose home of record is Louisiana and you meet the filing requirements of 1 or 2 above, you must file a return and report all of your income, regardless of where you were stationed. If you are married and one of you is not a resident of Louisiana, you may file as a resident (Form IT-540) or a nonresident (Form IT-540B), whichever is more beneficial to you and your spouse. Never forget to file LA IT-540 again.